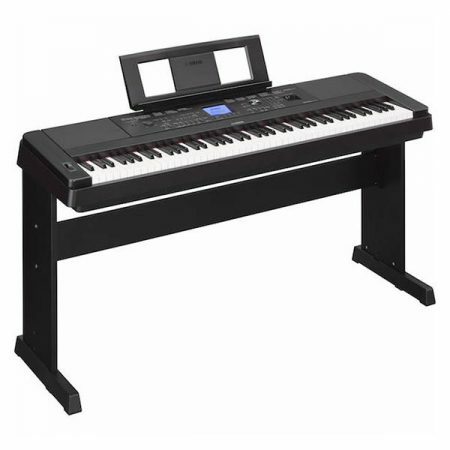 Powered by specially developed Yamaha technology, the sonic quality of every Voice in Genos is beyond any other Digital Workstation you’ve ever played. Everything you hear, whether it be the beautiful CFX piano, the lush Kino Strings or the punchy Revo!Drums, it just blows you away! For the first time in any Yamaha product, the Genos features our newly sampled C7 Grand Piano Voice. It is great match with Pop/Rock/Jazz and other music. Whether you create or perform music, you need great content. 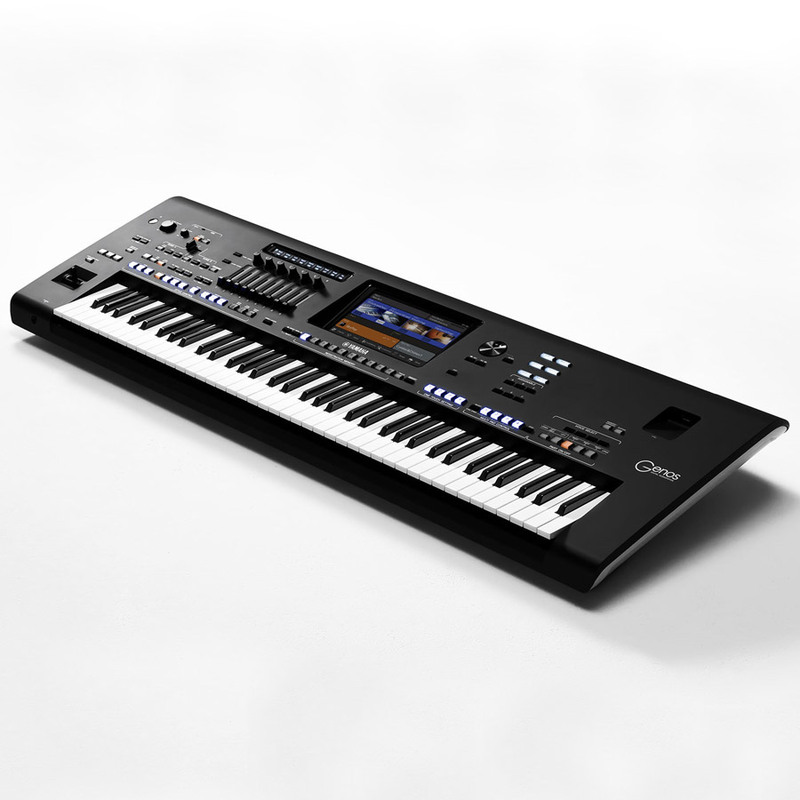 Genos features a diverse range of contents, starting from 1,710 instrument sound, 550 backing patterns, 216 arpeggios and more. Genos features stunning contents which will inspire you from the moment you start to play. From Reverb to Distortion, Rotary Speaker to Compressor, Genos boasts unprecedented DSP power. Using the same VCM technology as Yamaha’s professional high-end mixing consoles, Genos has the tools to create the perfect sound. Not only do the effects sound great, they look great too—with a stunning graphical user interface. You can automatically apply various Vocal Harmony effects to your voice as you sing, or you can use the Synth Vocoder to craft the unique characteristics of your voice onto synthesizer and other sounds. You can continually expand the onboard content of your Genos by creating and installing your own custom or purchased Packs. The scope of possibilities for new sounds and styles is virtually unlimited. 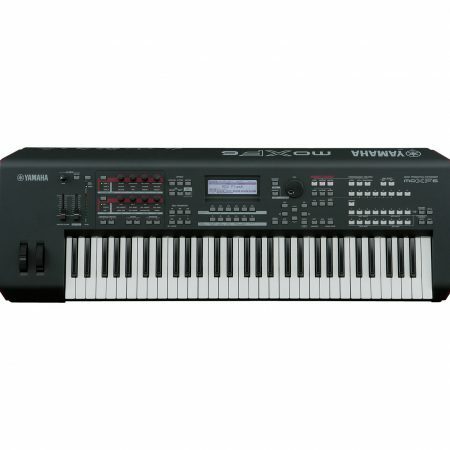 YEM is PC/Mac software designed to manage the Expansion contents for Yamaha keyboards. Genos includes 1.8GB of user flash memory with high speed reading/writing for your own Voices. Genos has three USB TO DEVICE ports (one on the panel, one on the back side, one on under the instrument) for you to keep the data. 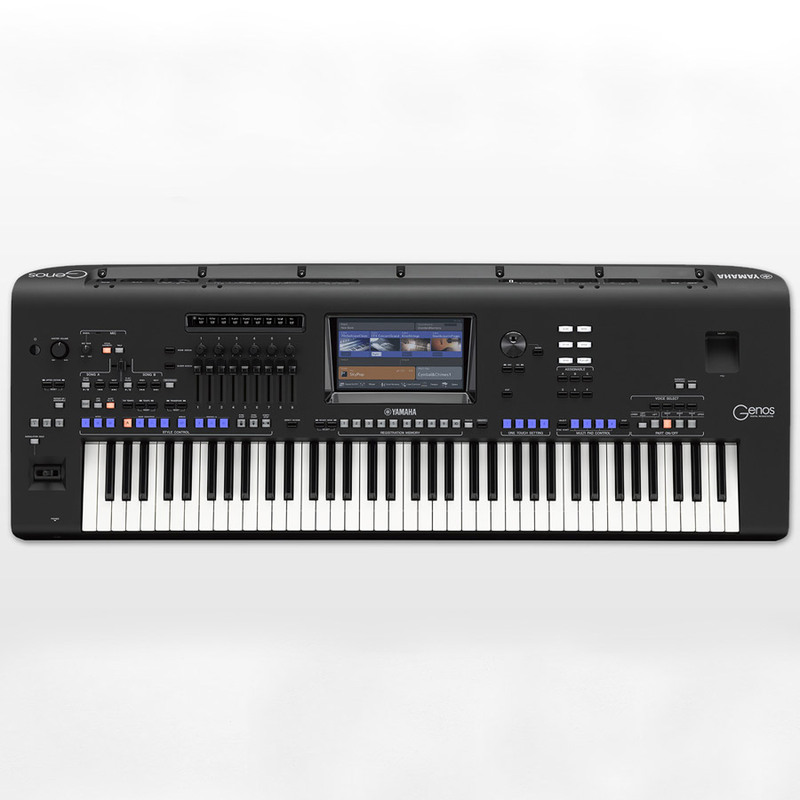 Genos features an intuitive interface for music making and sound creation. Select and change parameters directly with the new 9″ colour touch screen. While performing, you often need to act fast to access certain features. Choose from a range of functions to set to the 6+1 assignable panel buttons and with just a single touch, you can instantly recall your desired function. Genos features a variety of rhythmic backing patterns and accompaniments (called “Styles”) in variety of different musical genres. Styles feature sophisticated patterns to inspire your creativity. You give the idea and Genos will react to you. The Registration Memory function allows you to save (or “register”) virtually all panel settings to a Registration Memory button, and then instantly recall your custom panel settings by simply pressing a single button. Start from the original idea of a song, pick an instrument Voice and Style of your choice. Play and work out the arrangement and capture it as a MIDI song. Then, overdub some sounds and create your demo or even your finished track. Quickly record your performance as audio (WAV) or Standard MIDI File (SMF) with the Quick Recording feature. For more complex arrangements, Multi Recording features a fully functional 16-track MIDI sequencer with realtime and steptime functionality. When you are happy with your recording, it can be stored to the internal User Drive or saved to USB Memory for easy sharing. The new S/PDIF Digital output can be connected to compatible studio equipment or home theatre to output audio from Genos without any loss in quality. Genos has 216 Arpeggios to enhance your performance. There are a variety of arpeggio types, some are straight forward instrument arpeggios, others recreate strumming guitar effects and controller arpeggios automate Live Control by adjusting sound filters in realtime as you perform. 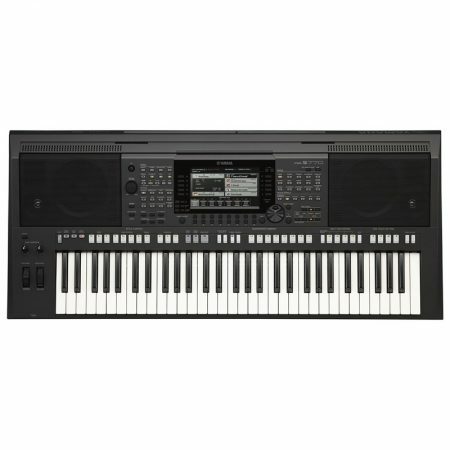 The FSX keyboard features a premium action with aftertouch. The keys are created in a high-precision manufacturing process for an incredibly durable keybed, enhanced key stability and “fast” action. 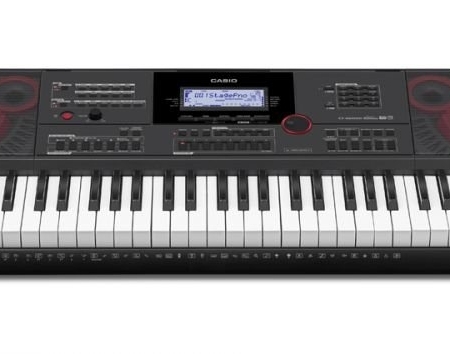 The 76-key professional keyboard features enhanced touch response allowing for highly expressive and dynamic performances. The Direct Access feature provides a shortcut to a wide variety of Genos functions. Simply press the Direct Access button followed by another panel button or footswitch to jump directly to relevant controls in the display. Whatever genre of music you wish to perform, Genos is ready to accompany you with world-class arrangements, punchy drums and powerful DSP/Effect. Never has there been a more perfect personal backing band. The Multi Pad can be used to play a number of short pre-recorded rhythmic and melodic sequences and loops that allow you to add impact and variety to your keyboard performance. Multi Pads do not only work with MIDI data, they also allow you to create unique, new pad content with your own audio (WAV) data for playing back during your performance. The audio output of Genos has been completely redesigned to deliver professional quality sound from your keyboard. The new 32bit Digital Audio Converter (DAC) provides high quality defined sound across a wide frequency range, ensuring Genos always cuts through the mix. Genos features four Sub line-out connections that you can use to adapt your sound to various situations. 10 Revo! Drums/SFX, 76 Ensemble, 390 Super Articulation!, 75 Super Articulation2!, 82 MegaVoice, 40 Sweet!, 81 Cool!, 160 Live!, 24 Organ Flutes! Yes (*) , Standards: IEEE802.11b/g/n (IEEE802.11n 5GHz: not compatible) *May not be included, depending on your area. Check with your Yamaha dealer.